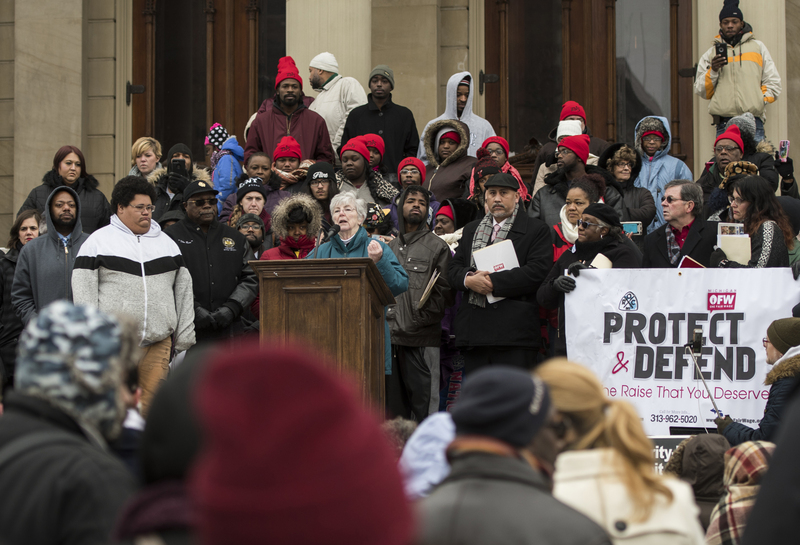 LANSING, Mich. — Michigan’s Republican-led Senate passed bills Wednesday that would substantially scale back citizen-initiated minimum wage and paid sick leave laws that a business lobby criticized as too burdensome, setting up expected lawsuits if GOP Gov. Rick Snyder signs them into law before making way for a Democrat in January. But state Sen. Curtis Hertel Jr., an East Lansing Democrat, criticized Republicans for not introducing the bills until two days after the election and accused them of purposely keeping voters in the dark. He said he would be open to considering changes during the 2019-20 legislative session after hearing from tipped servers who worry that the wage law could actually reduce their pay.